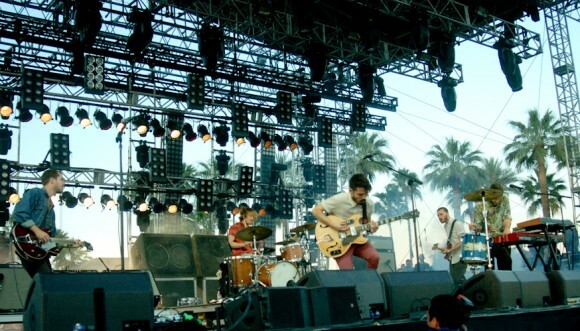 The Local Natives have announced their Summer and Fall 2013 tour dates. This will be the largest tour for the Natives, with shows in North America, Europe, Asia and Australia. The tour is following the release of their critically acclaimed sophomore album, Hummingbird. Los Angeles indie rock group, Local Natives, have just announced their largest tour line-up ever for Summer and Fall 2013. The tour started in May and will end in November, with shows in North America, Europe, Asia and Australia. Having just finished a sold-out US tour this Spring, including a blow-out performance at Coachella, the Natives are receiving wide-spread notoriety from the press for their sophomore album Hummingbird. The album was released earlier this year and has been written up by the Los Angeles Times, Entertainment Weekly, and more for it’s brilliant and refreshing tracks. This Summer, Local Natives will be making stops at New York’s Governor’s Ball, Lollapalooza and Bonaroo. Wild Nothings will be opening for the Natives on their US tour dates.